Configure and schedule multiple identical signs. Play a template on multiple signs that do not display identical content. Play identically formatted event information on a group of meeting room signs. 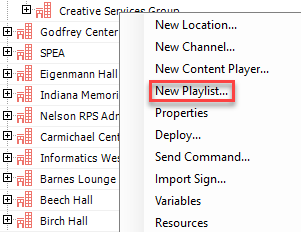 Right click on the sign location and select New Playlist. Click OK. 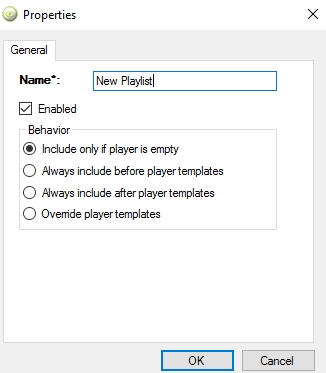 The playlist will display in the Network Overview, under the location you selected. When you add a playlist to a location, all signs in that location will play the playlist. 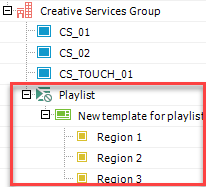 Drag a template from the template library to the playlist.